Konstruk has changed the way that forms are inserted into pages. Now, there is no need to insert a generator into a page. 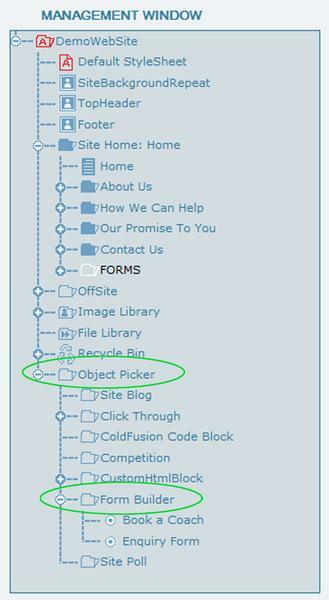 Open the 'Object Picker' node at the bottom of your administration tree in the the management window. Open the 'Form Builder' node and find the form you wish to insert. 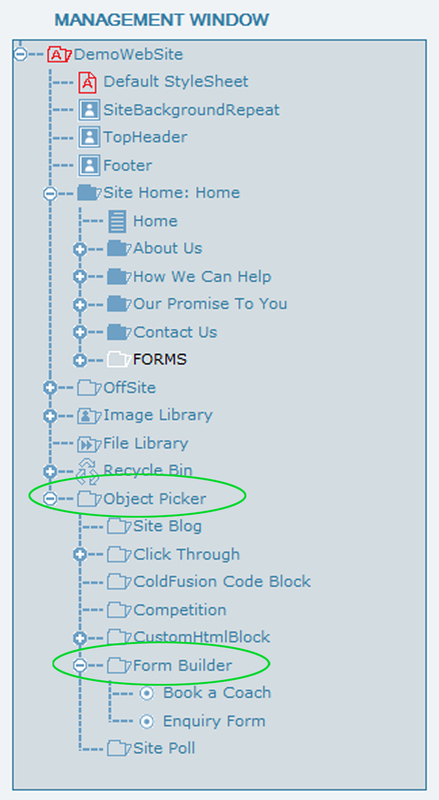 You will see a Konstruk Object Picker icon with the name of your chosen form sitting in the page and away you go. You can still insert this object picker into a table as desired.